A new Splinter Cell announcement is all but guaranteed for E3 2018 at this point. How so? Well, around a month ago, Walmart Canada supposedly leaked a whole bunch of secret PlayStation 4 titles. The leak included the likes of RAGE 2 and Assassin's Creed Odyssey, both of which were officially announced not long after. It also featured Just Cause 4, which had its existence all but confirmed just a few hours ago via another leak. Thus far, the Walmart leak has proven 100 per cent accurate. As such, it's become safe to assume that its Splinter Cell PS4 listing is also bang on the money. Presumably, the only reason we haven't seen it yet is because Ubisoft is saving the announcement for its E3 press conference. 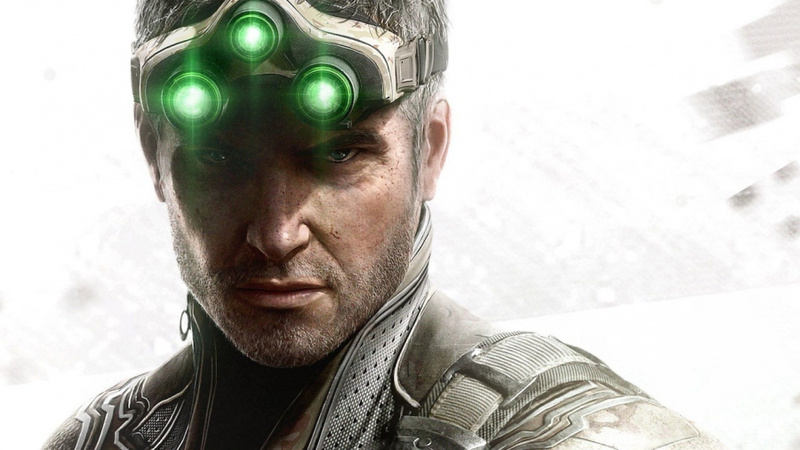 Are you ready for the return of Sam Fisher? Identify your targets in the comments section below. Robert's been a dedicated PlayStation fan since the days of Tekken 2, and he still loves a good dust up. When he's not practising combos, he's usually getting lost in the latest 100-hour RPG, or, y'know, replaying The Witcher 3. Definitely happening. I'm very excited to see this, I thought Blacklist was really good on the PS3. Yeah I get the feeling it'll be a timed exclusive just like Conviction, just don't know what platform. Oh hell yes. A new Splinter Cell is up there with Elder Scrolls VI and GTA VI as dream announcements, and was always far more likely than the other two. Even though Conviction and Blacklist were very different to the original games, they were still excellent. A stealth game being the only one managing to keep itself hidden from the public? There's a joke in there somewhere. It's been far too long for a Sam Fisher instalment. On hand @get2sammyb I'm glad for the delay as Ubisoft seems to have sorted out hiccups with the new generation systems, so we could be finally in for a real treat with this title! Anyway, new Splinter Cell...it's happening yeah! to be honest it's been a while since the last one so i would love some kind of collection of the older games too, including the one PS never got, unless all the games are on the XB1 BC program? Hopefully Splinter Cell returns to form with something in the vain of Chaos Theory or Double Agent. I'm super game for a Splinter Cell comeback! It's been a while since the last title, and I'd love to see those night vision goggles at E3. @Broosh I agree that David Hayter was the best and, in my mind, only voice for Snake, but Kojima always does things for a good logical reason, and there is definitely a good reason why Snake is voiced by Kiefer Sutherland in MGS5. Big fan of both Conviction and Blacklist. Can't wait to see this series return. I love Assassin's Creed but SC is my favorite Ubisoft franchise. I hope he's a better agent than he was in his Ghost Recon: Wildlands mission. He was bloody useless! @Totaldude911 @FullbringIchigo I'm not up in arms about the new voice for snake, they had their reasons. Imagine if they tie it into a full Metal Gear remake game! Solid snake could be Hayter with Boss as Sutherland. @FullbringIchigo I agree with that, and I bet they considered that. But I think that would have spoiled the surprise, making it too obvious.